Following on from the I.D. 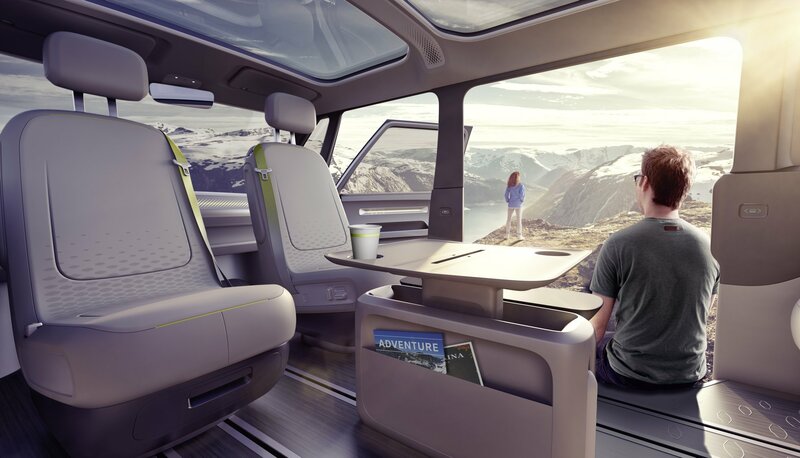 city car unveiled in Paris last year, Volkswagen has given us a preview of what it thinks the camper of the future will look like, introducing its I.D. BUZZ concept MPV at the 2017 Detroit Motor Show. 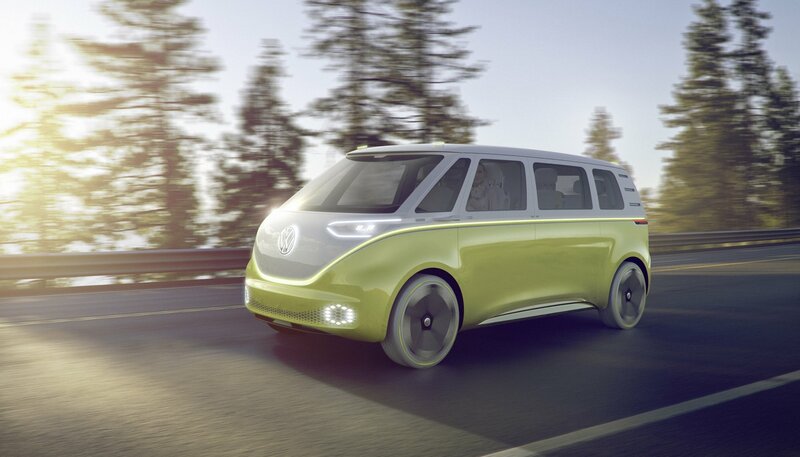 The fully electric camper features four-wheel drive with motor units on the front and rear axles combining to provide 275kW (equivalent to 374hp), while the battery packs sit in the floorpan, lowering the Volkswagen I.D. BUZZ’s centre of gravity. Unlike an old 23-window VW Samba (which needed a calendar to measure its acceleration), the I.D. BUZZ is altogether more sprightly, hitting 100kph (62mph) from a standstill in just five seconds. Despite this, the range is an impressive 600km (373 miles). 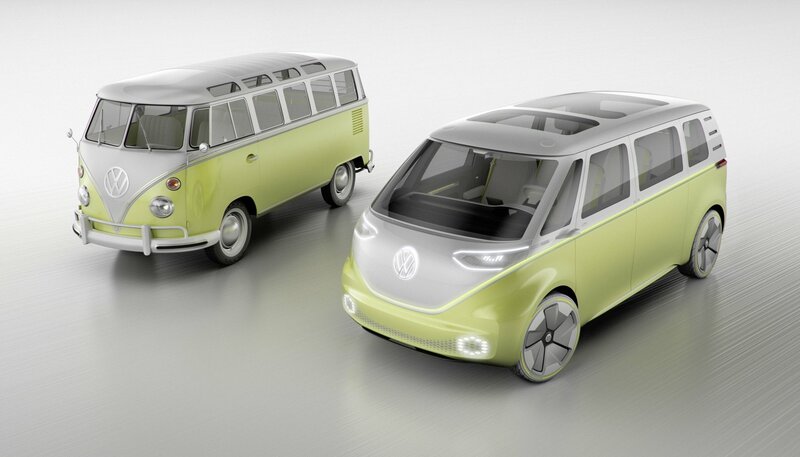 We have, of course, been teased with a new VW Microbus before. In fact, since the turn of the century there have been three different concepts, none of which have made production and satisfied the insatiable demand for a modern day splitty. 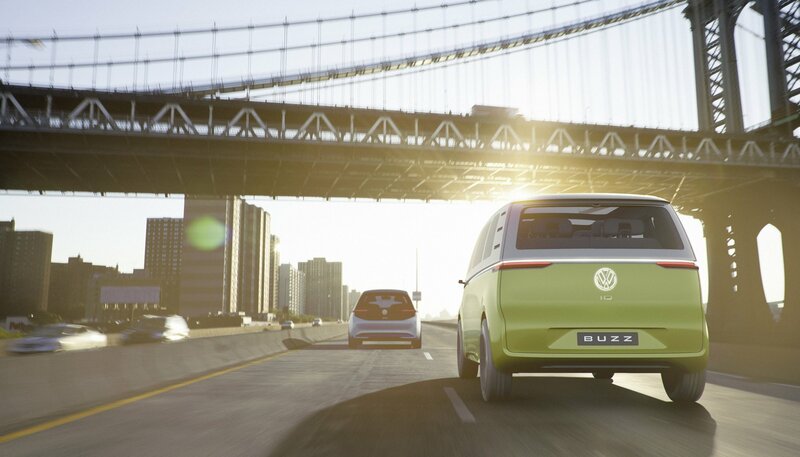 For Volkwagen, the I.D. 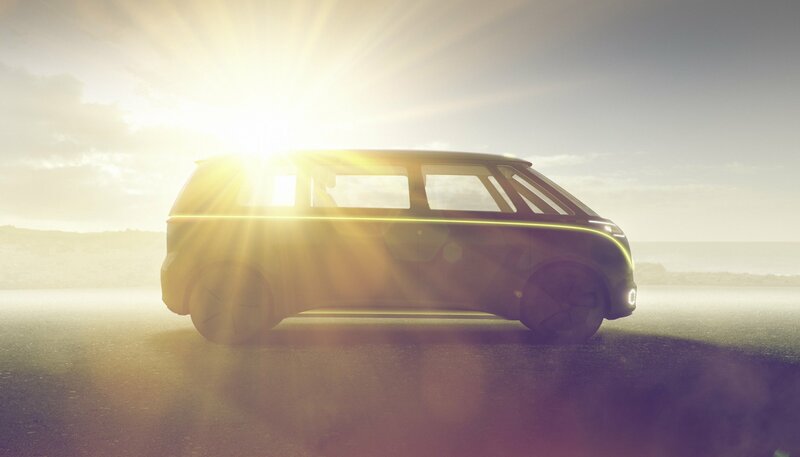 BUZZ represents an important milestone not just for its electric aspirations though. 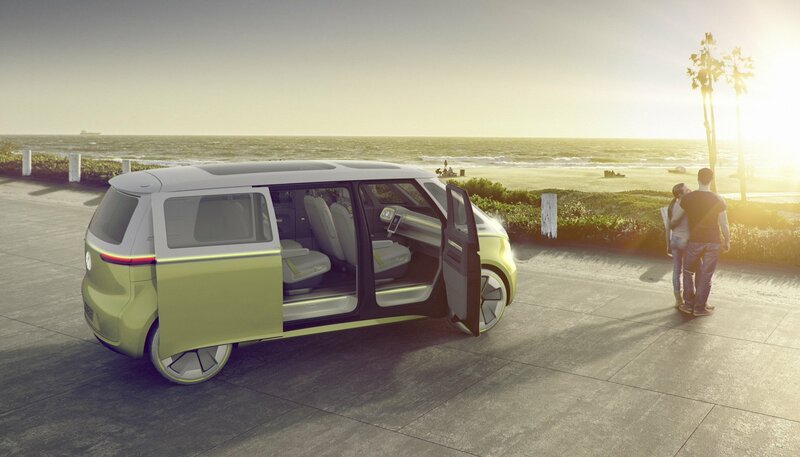 The modern microbus unveiled in Detroit is the first concept from the German firm that can be driven in a fully automated mode. Gently pushing on the I.D. BUZZ’s steering wheel – itself a capactive touch device, rather than the standard wheel – sees it recede back into the minimalistic ‘dashboard’, putting the vehicle into ‘I.D. 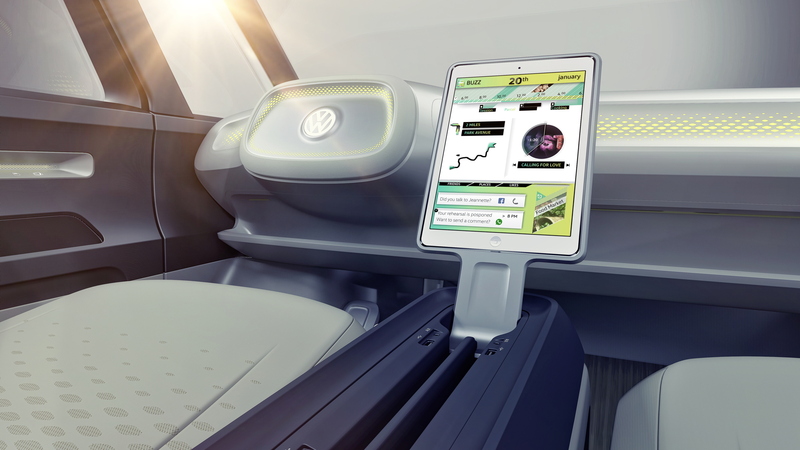 Pilot’ mode (something that VW envisages being introduced by 2025). 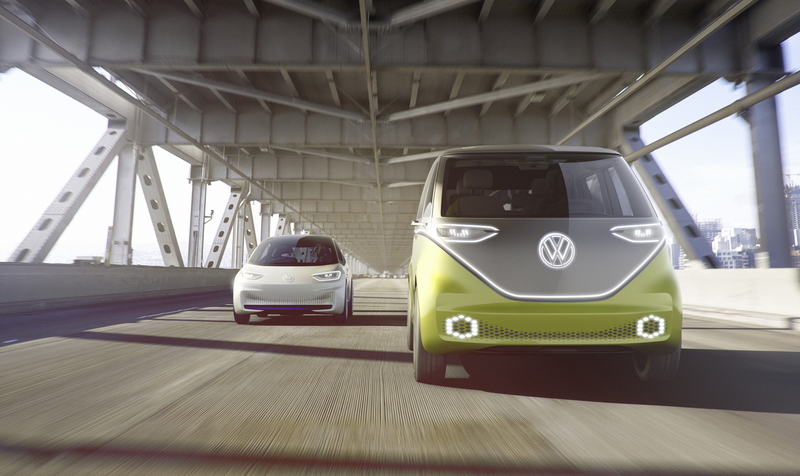 Driving itself with the help of myriad sensors, scanners and cameras (think laser, ultrasound and radar) along with other traffic data received from the Cloud, the Volkwagen I.D BUZZ’s driver is then free to swivel 180 degrees and face their passengers.